It's very lovely here in Boulder. BEAUTIFUL BOULDER, COLORADO. Elevation 5,354 ft. (1633 m.) 30 minutes northwest of Denver. 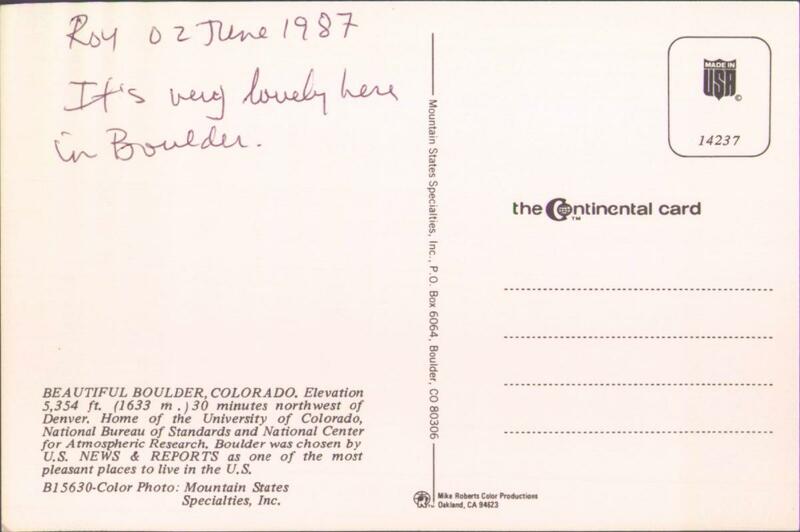 Home of the University of Colorado, National Bureau of Standards and National Center for Atmospheric Research. 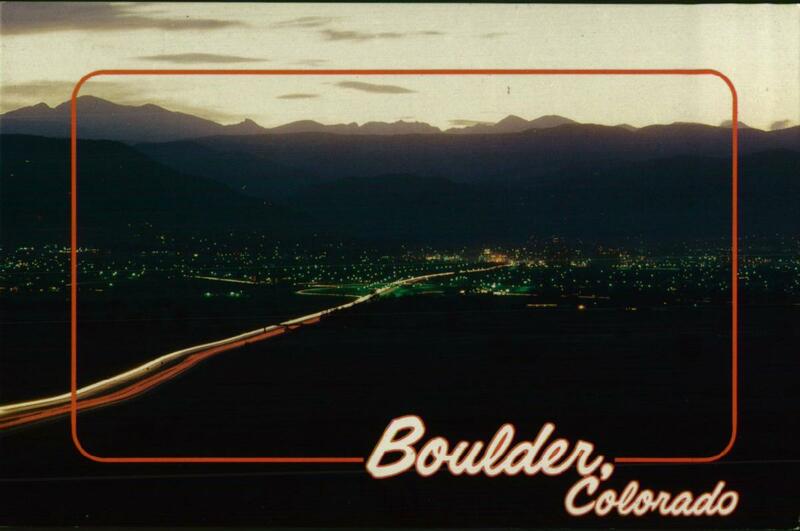 Boulder was chosen by U.S. NEWS & REPORTS as one of the most pleasant places to live in the U.S. It's a shame that U.S. News & Reports doesn't publish anymore.